WTMJ-TV is the NBC-affiliated television station located in Milwaukee, Wisconsin. WTMJ-TV went on the air on December 3, 1947. It was the seventeenth television station in the country to go on the air, the first television station in Wisconsin, and the first commercial station in the Midwest. This series consists of film shot to accompany daily news stories from January 21, 1964, through February 8, 1980. 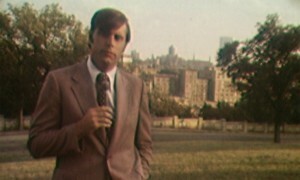 The footage shows on-location reporting of pioneering newscasters Ed Hinshaw and Art Olszyk. This series includes over 45,000 individually described news clips, many lasting only a few minutes or less. Description is most complete for footage from 1964 to early 1970. Thereafter, description may consist of a single word or phrase only. The collection includes run-downs from January 1962 (predating the extant footage) to early 1970. 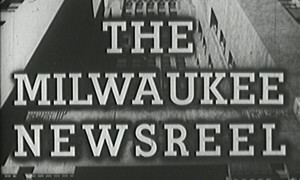 The Milwaukee Newsreel was a weekly review of the news. It aired on Wednesday evening at 9:30 p.m. beginning on October 4, 1950, and ended in February 1955. Footage in the collection spans from the debut episode through February 2, 1955. The collection includes scripts for the same period. 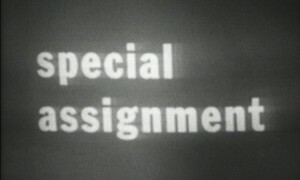 Special Assignment aired Monday through Friday from 6:25 p.m. to 6:30 p.m. The program debuted May 11, 1959, and ran until 1970. Special Assignment dealt with matters of current interest. Topics included development of the expressway, the Milwaukee Metropolitan Sewerage District’s Deep Tunnel, the fishing industry on Lake Michigan, General Mitchell airport, the Milwaukee County Zoo, and the Milwaukee Braves, among many others. The collection includes footage from May 1959 through October 1968 (approximately 1,600 episodes). Most of this is edited footage, and a few Kinescopes of final broadcasts exist. Scripts exist from May 1959 through May 1969. Special topics include footage on visits to Milwaukee by the Beatles (1964), Israeli Prime Minister Golda Meir (1969), and presidential candidates John F. Kennedy, Hubert Humphrey, and George Wallace. There is also footage either on or relating to Milwaukee’s civil rights movement, especially efforts to desegregate the Milwaukee Public School System. 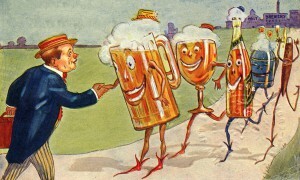 The collection includes a few commercials, primarily from the 1960s, relating to cars, soft drinks, and other products. Additional commercials may be found in the daily news film series. These commercials are available for viewing in the Archives of the University of Wisconsin-Milwaukee Libraries, but may not be duplicated for personal or commercial use. 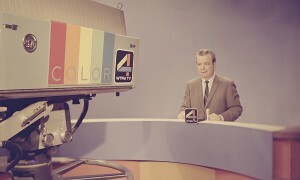 The Journal Broadcast Group donated the WTMJ-TV collection to the Wisconsin Historical Society (WHS) in October 2001 with the provision that it remain in Milwaukee where it could be readily accessed by WTMJ-TV staff and made publicly available for research and study. The Archives of the University of Wisconsin-Milwaukee Libraries, which operates the Milwaukee Area Research Center of the WHS, agreed to inventory, preserve and provide access to the collection. From fall 2001 through spring 2008, the Archives processed the Milwaukee Newsreel, daily news, and most of the Special Assignment series. Staff inventoried the collection at the segment-level, providing researchers with detailed subject access. The 2001-2008 processing project was generously supported by financial donations and in-kind gifts.